On Sunday afternoon, Sheriff’s Homicide Detectives arrested twenty-nine year old Steven ZINDA for killing a man he believed to have been responsible for a burglary to his residence in the early morning hours today. ZINDA was booked into the Sacramento County Main Jail on a single count of murder, and will remain in custody ineligible for bail at this time. Shortly after 4:30 a.m., Sheriff’s deputies responded to a call from ZINDA at his residence in the 7200 block of 2nd Street in Rio Linda. ZINDA stated that he had returned home and interrupted a burglary to his residence, seeing a male subject flee from the location. Shortly after, ZINDA observed a male subject outdoors near his residence. Believing this person to be involved somehow in the burglary, ZINDA confronted him with a weapon and the man fled on foot. ZINDA gave chase, eventually catching the male subject nearly a quarter of a mile away. At that time, a confrontation took place, culminating with ZINDA attacking the male, who was fatally wounded during the altercation. Upon deputies’ arrival at ZINDA’S residence, he directed them to the location, a nearby field, where he had wounded the man. Paramedics responded to the scene, and pronounced the subject, who had suffered trauma to his head and upper body, dead at the scene. ZINDA was detained, and later interviewed by Homicide Detectives regarding the incident. As a result of that interview, detectives developed probable cause to arrest ZINDA for the murder of the male victim. Detectives also recovered the weapon that they believe was used by ZINDA during the attack. At this point in the investigation, detectives have not established any connection between the victim in this case and the burglary to ZINDA’S residence. Although investigation into this incident continues, detectives believe there is a likelihood that the victim was killed under ZINDA’S mistaken assumption that he was involved somehow in the burglary. Anyone having information about this incident is encouraged to call the Sheriff’s Homicide Bureau at (916) 874-5115. 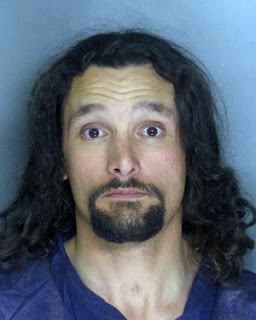 No Comment to " Steven Zinda from Rio Linda arrested in suspected homicide "